See Your Surgery Results BEFORE Surgery! 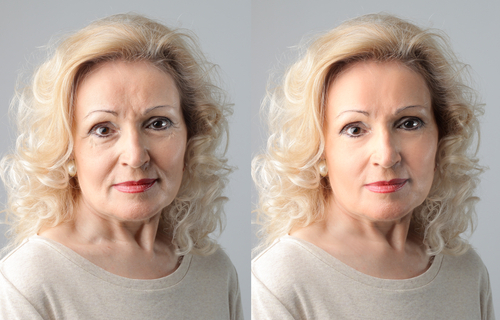 Many people are interested in undergoing facial plastic surgery, such as a facelift, laser skin resurfacing, fat transfer, and eyelid rejuvenation, but are hesitant because they are unsure of how they will look after the procedure. Imagine if you could know how the results of your surgical procedure would look before you ever enter the operating room. At Wise Center For Plastic Surgery, we offer imaging with an advanced system that allows patients to more effectively communicate their desires to Dr. Wise and determine if a particular procedure will achieve results that meet their aesthetic goals. With Canfield’s VECTRA M3 Imaging System, Dr. Wise can simulate proposed before and after images of your desired surgery. Three high-resolution 36-megapixel color cameras capture detailed photographs of you from different angles, and then the VECTRA system quickly combines the images of you to create a fully rotatable 3-D image of your face and neck. Advanced computer software is used to analyze the images and simulate the corrections that can be made with facial plastic surgery. Our state-of-the-art imaging system allows you and Dr. Wise to have a shared visual understanding of your beauty goals in order to develop a comprehensive plan to achieve these specific goals. The VECTRA M3 System will display a visual image of the desired changes you describe to the doctor, and this image will let you confirm that the result of those changes align with your aesthetic goals. This also grants Dr. Wise the ability to provide specific recommendations for your individual circumstances to achieve the particular appearance you desire. Since each person ages differently and has distinct physical structures, Dr. Wise uses an individualized approach to correct signs of aging, and the VECTRA M3 provides a visual aid to demonstrate the possible results of what can be achieved with your surgery. To schedule a consultation with our board-certified facial plastic surgeon, Dr. Jeffrey Wise, and see the visual results of your enhanced appearance that can be achieved with plastic surgery, please call (888) 295-6933 or fill out our online contact form today.